Tatyova, Benthic Druid ($0.20) Price History from major stores - Dominaria - MTGPrice.com Values for Ebay, Amazon and hobby stores! 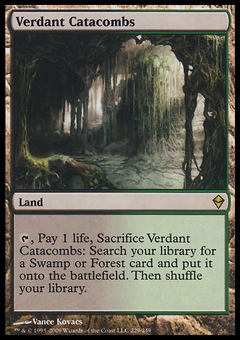 Card Text: Whenever a land enters the battlefield under your control, you gain 1 life and draw a card. Flavor Text: "Yavimaya is one being�one vastness of rippling leaves, one deepness of roots, and one chatter of animals�of which I am one part."